Harvard Public Library is proud to offer a wide array of services available to patrons both in-house and remotely. We offer museum passes to 22 local museums, 2 monthly book group discussion meetings, year-round cultural, educational and musical performances, delivery of library materials for homebound patrons, study rooms for group projects, interlibrary loan services, up-to-date technology help, online learning, and exam proctoring for students. Patrons are encouraged to call the library at 978-456-4114, email reference@harvardpubliclibrary.org or visit the Reference Desk for more information on any of the services offered. To register for Children's programs please call the Children's Desk at 978-456-2381. Our full calendar of events held at Harvard Public Library. The Harvard Friends of the Arts is pleased to bring musical and theatrical performances to Volunteers Hall. 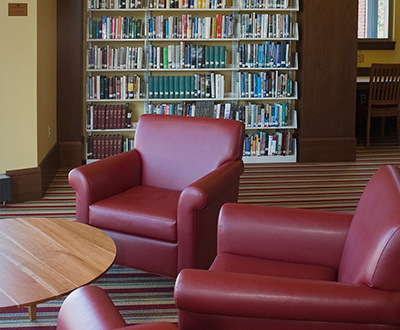 Join one of two book clubs held regularly at the Library. We are here to help! The Harvard Library’s Reference Librarians provide assistance during all hours the Library is open. The Friends of the Library will deliver books and other Library materials to homebound Harvard and Still River patrons.